Supercentenarian who became the world's oldest living woman on June 12, 2013. She grew up in Tenma, Osaka, Japan. She became the 20th-oldest person in recorded history by reaching her 115th birthday. She and her husband Yukio Okawa had three children, four grand children, and six great-grandchildren. 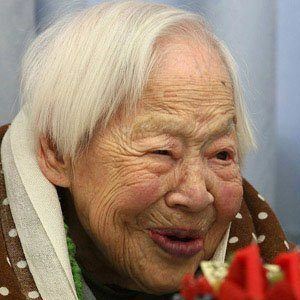 She became the oldest person in the world after Jiroemon Kumara passed away in 2013.